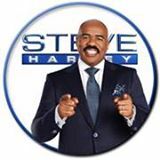 steve harvey mentoring weekend | Doc is Blog-tastic! : #1 as the CEO of Me Inc.
What does the name Steve Harvey bring to mind? That could depend on the first encounter. Some people might go as far back as his days doing Amateur Night at the Apollo. Others might know him from his comedy circuit. No matter how he brings it, Harvey’s worked his way up to becoming a powerhouse. That’s no small task. In every career pursuit or dream track you’ll find lots of high achievers. These are people who demonstrate passion in their work. They operate with an engaged sense of purpose. But the ones who become a powerhouse figure in their fields are those who possess PQ or personality quotient. Everybody knows what IQ can do for you. It’s a measure of your intellectual edge. In the case of PQ, it’s about connecting people with the essence of your personality and the warmth of your authority. So while it’s good to be smart, it pays to be personably smart. This way people can connect with your heart. That’s the whole idea behind shifting gears or turning things around on the job or in business. There’re lots more people in the pot than there’re those ready to land a spot. So to separate from the pack you have to have had made a name for yourself or to offer more than what people can get off the shelf. It seems even when Harvey is in downtime he’s still making things happen. He might not be on the clock but he’s still on his game with his work in philanthropy. It’s about planting seeds, meeting needs and taking heed to the real power of his life’s calling. After a while he keeps doing what he’s doing with style. What does the name Steve Harvey bring to mind? Depends on what a Google search might find. Some people go back to his Amateur Night days. Others think about his comedy circuit craze. Whether Harvey brings it like a bull or a mouse. He’s worked his way up to becoming a media and biz powerhouse. No small task for today’s brand at work. Many doing better than most to earn their perk. Happens in every career or dream track. Lots of high achievers listed front to back. Purpose in work served with passion. From the boardroom to the runway fashion. Where personality quotient or PQ is not in ration. Everybody knows about IQ. What intellectual edge can do for you. There’s more in store with PQ. A measure of how your energy comes through. Connecting people with the essence of your personality. As well as the warmth of your authority. Yes it pays to be smart. So personably smart comes from the heart. That’s the whole idea behind shifting gears. On the job or during your business years. Lot’s more people to be found in the pot. Than those ready to land a spot. So in order to separate from the pack. Could mean getting on the dream track. By making a name for yourself. Offering more than sold off the shelf. Seems even when Harvey’s in downtime. He’s making things happen in primetime. He might not always be on the clock. When hanging-out fishing from the dock. Yet he’s still on his game. Adding philanthropy to his name. Planting seeds, meeting needs. Taking to his life’s calling heed. Putting style in good deeds. Tip: Using personality to connect with your authority is an important element to becoming a powerhouse. Talkback: When do you remember first hearing about Harvey and his brand? A few years ago the Disney Company approached Steve Harvey about partnering on an initiative known as the Disney Dreamer’s Academy. Harvey says it was a “no-brainer” because the program’s ideals were similar to why he started his foundation to provide mentoring. He sees it as giving back for tomorrow. In some circles this might be thought of as “paying it forward.” It’s about giving back to those who’re coming behind you. The idea is tied to investing in the future of others. It might also be a way of serving people of different stars and stripes so that today’s investment becomes tomorrow’s achievement. If job uncertainty, career-quakes or a business setback feels like lemons, well you know the rest. Where to start is usually the question but where to go might be the real decision. How you live has a way to come back to you like karma. So think about how you give of yourself to use legacy as a driving force. Each year a new class of students is announced for the academy. They receive some ‘dreamer’s boot camp’ training that will last them a lifetime. How you live might say a lot about you. How you treat people might give others a lot to say about you. But it’s how you leave a legacy that speaks volumes over time. Few years ago Disney approached Harvey. Wanted to partner on Dreamer’s Academy. Harvey saw it as “no-brainer.” This could be done on retainer. But it really wasn’t about the money. But about program ideals beyond funny. It’s why he started a foundation to do mentoring. Giving back for tomorrow’s rising. In some circles seen as “paying it forward.” It’s about giving of yourself by looking backward. Not long ago you were in those shoes. Now you’re trying to help pass along life clues. Tied to the future yet to come. Serving people of different stars, stripes and then some. Showing others what achievement can become. This in some sense is in how you live. How others treat you reflects how you give. In being aware of your social duty. As well as your overall civic responsibility. Calls for a bigger kind of love. That floats with grace like a dove. More than raisin cookies or ice cream. Caring enough to see others reach their dream. Job stress, career or business quakes? Feels like lemons or gives you the shakes. Where to start usually the question. Where to go might be the real decision. How you live comes back like karma. Don’t get hooked on prescription pharma. Think more about how you gave. As legacy’s driving force of the brave. Each year’s academy class he has to announce. Some names Harvey might fumble to pronounce. They then become dreamer’s in-training. To spur a lifetime of ongoing learning. How you live might say a lot about you. How you treat others says what’s true. Your legacy speaks volumes as dreams come through. Tip: “If you can dream it, you can do it!” – Walt Disney. Talkback: In looking back, how did a teacher, neighbor or other adult impact your life’s journey? Are you ready for the red carpet preview? How about the acceptance speech review? Well that’s what you’ll find during the season of Awards Shows. We go from the Grammys to Oscars with the Stellar and NAACP Image Awards in between. Celebs like Harvey can get various awards due to crossover appeal. It’s all a part of building diverse market branding. Some award shows are about movies, others about music. There’re the Hollywood A-listers and Fashion Ave stylistas who’re recognized for their personal acclaim or catwalk pizzazz. Harvey might say it’s about positioning your brand as a box of chocolates. There was a time when the value of work was in the idea of widgets. So, productivity was a measure of how many units could be made in a period of time. These days making widgets has become fairly simple. It’s no longer just about the box but about how what’s inside the box meets a niche or base audience. Harvey expands his base with new rounds of success. He’s gone from stand-up comic to radio jock to sitcom star to game show host to Image Award winner for his national talk show. Each time his base grows he brings more market value that benefits a wider niche, bringing many happy cash-money returns. When the awards season is over he’s still building his brand like cheese. There’re many types and ways cheese adds flavor to a meal or smiles to a selfie. Whether through his appearances at conventions, book signings, movie premieres or community events, his branding keeps him in good standing. Ready for the red carpet preview? How ‘bout the best speech review? That’s what’s up at award shows. Where folks get to give thanks on their toes. There’s the Grammys, Oscars and other big grabs. Stellar and NAACP Image Award fabs. Celebs like Harvey make a steal. Because of their crossover star appeal. All a part of what they’re building. In diverse marketplace branding. Some award shows are about movies. Others honoring the music groovies. Hollywood A-listers and Fashion Ave stylists. For their acclaim and catwalk favorites. Put together in brand positioning. Like a box of chocolates for the tasting. Was a time when value seen in work. Came from the idea as a widget clerk. Productivity a measure in unit numbers. Made in a period of time between slumbers. Nowadays making widgets is easy to stack. More than just about the box-n-go pack. But about audience base and fan niche you can track. Harvey expands his base again and again. Building on each round of success top-ten. Gone from stand-up comic to radio jock. Game show host to sitcom star block. Image Award winner for his talk show. Brings new market value helping the base grow. With many happy cash-money returns in the flow. When awards season over he’s still building. His brand like cheese for ad selling. Many types and ways cheese puts flavor. In a meal or smiles for a selfie savor. Through his talks at biz conventions. Book signings, premieres and community connections. Taking his branding and standing in many directions. Tip: Building crossover appeal is about connecting with a base that loves your box of chocolates and expanding your niche to those that love your overall package. Those ‘in the know’ say Family Feud has seen bigger ratings in recent years. Some think it’s gotten new life with Steve Harvey as the latest host. The show airs on weeknights in regular season rotation as well as in syndication. How does Harvey juggle all this work? He says it’s in taking care of your temple. Harvey knows something about a diet makeover and workout schedule. He takes seriously the idea that what you put in is what you put out. But that doesn’t just apply to his body. It’s also about feeding the soul. He produces maximum results in life because he knows your “temple gifts” can look good on you. He’s normally decked-out in the finest suits. Things match and coordinate in ways that would make a mother proud. However, when you look past the outward appearance, you realize there’s a spiritual calling at work. This is how you make big G (o-d) look good which puts everything in place as it should. When in doubt of the next career move, be sure to at least pack purpose for the ride. Where there’s purpose there’s a sense of serving some greater good. 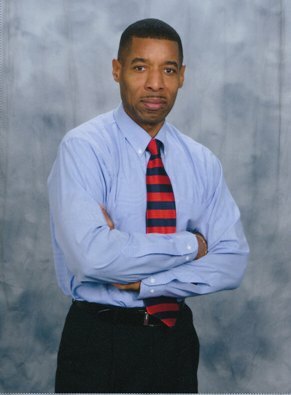 While Harvey’s work is multi-media, he also gives back through his foundation by partnering with others to mentor boys from single-parent households. Those ‘in the know’ see a shift in gears. Family Feud’s ratings up in recent years. Some think Steve Harvey gave it new life. He’s the latest host dressed sharp as a knife. Airing weeknights in regular season rotation. Also seen in cable syndication. With many jobs in his spoke. Taking care of his temple is no joke. Harvey knows about a diet makeover. Doing his regular workout is no pushover. Serious about the idea of what you put in. So that what he puts out makes folks grin. Not just about biceps and your core. But also about the soul’s dujour. Bringing max results in the making. As “temple gifts” look good for the taking. Normally decked-out in the finest suits. Things paying off in his life fruits. Looking cool to make a mother proud. Even if other’s love to hear him loud. Going beyond his outward flair. You see a spiritual calling in the air. That’s about making big G (o-d) look good. Having things in place where it should. When in doubt of the next career move. Think about putting purpose in the groove. Where there’s purpose there’s a sense of serving. Some earthly good for a greater rising. While Harvey’s work is multi-media happy. Little he does seems to be crappy. Like mentoring boys on not being sappy. Tip: Packing purpose for the ride means spreading your gifts so that your 9-to-5 is as good as it gets. Talkback: What’s different about The Feud before Steve Harvey and now?